And Only A Few Minutes Away From Temples, Eateries and Shops. The Green Tiger House is situated in a non-touristic area inside the Old City with easy access to public transport, restaurants, massage places and nearby temples. Set back about one hundred meters from the main road our quiet neighborhood provides a relaxing environment after a busy day of exploring and discovering. The Green Tiger House is conveniently situated in a quiet residential area of Chiang Mai’s Old Town, near the ancient canal and the historic North Gate. 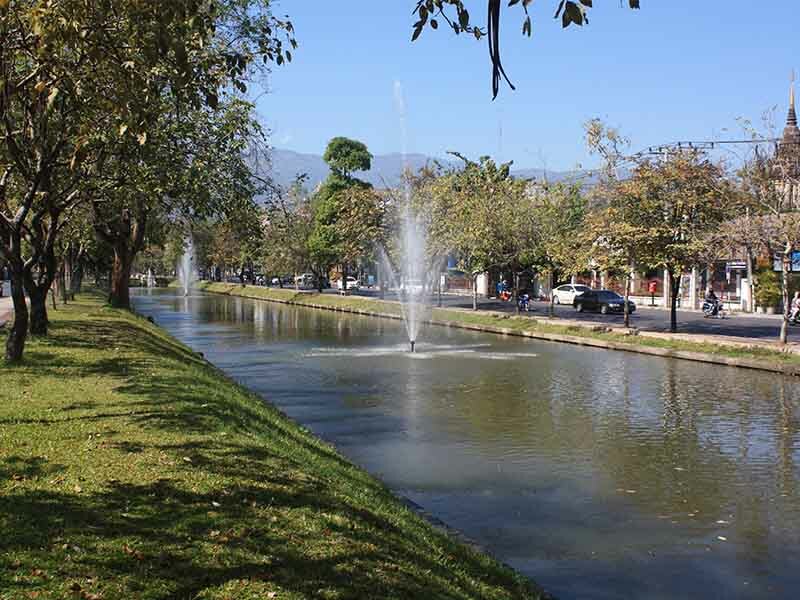 From here, you can easily explore the highlights of our city on foot or by bicycle. Taxis and tuk tuks are available nearby and will get you to markets and temples within a few minutes. We are situated in a quiet, residential area away from busy streets. 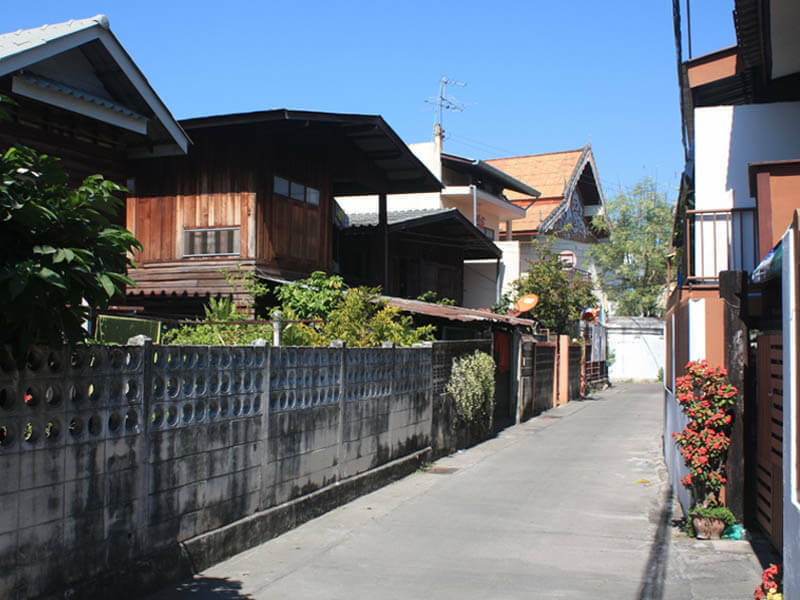 Neighborhood features include small alleys, traditional wooden houses and temples, offering a glimpse of traditional local lifestyle. 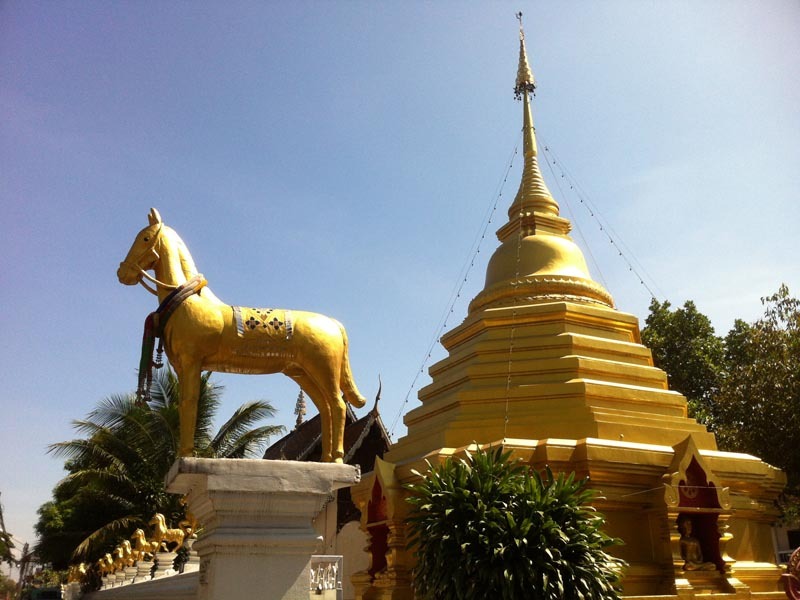 It is also one of the last remaining non-touristic places inside the old city and a great starting point for exploring Chiang Mai. Public Transport, local restaurants, mini marts and ATMs are just a few steps from here. The busy tourist areas and most sightseeing spots are an easy a 10-20 minute walk away from here. In the evening, enjoy local specialties at the nearby street food market or enjoy great live bands at the popular North Gate Jazz Co-op.